A discussion of the role of interdependent infrastructure systems in smart cities as it relates to timely and poignant questions about resilience and sustainability. Thayer professor, Amro Farid, will highlight important elements from a new book entitled: Hetero-functional Graph Theory for Interdependent Smart City Infrastructures by W.C. Schoonenberg, I.S. Khayal, and A.M. Farid. Cities have always played a prominent role in the prosperity of civilization. Indeed, every great civilization we can think of is associated with the prominence of one or more thriving cities. And so understanding cities -- their inhabitants, their institutions, their infrastructure -- what they are and how they work independently and together -- is of fundamental importance to our collective growth as a human civilization. Furthermore, the 21st century “smart” city, as a result of global climate change and large-scale urbanization, will emerge as a societal grand challenge. Professor Farid will discuss the role of interdependent infrastructure systems in such smart cities especially as it relates to timely and poignant questions about resilience and sustainability. 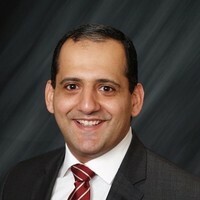 As a faculty member at Dartmouth, Professor Farid leads the Laboratory for Intelligent Integrated Networks of Engineering Systems (LIINES) and has made active contributions to the MIT-Masdar Institute Collaborative Initiative, the MIT Future of the Electricity Grid Study, and the IEEE Vision for Smart Grid Controls. He received his Sc. B. in 2000 and his Sc. M. 2002 from the MIT Mechanical Engineering Department. He went onto complete his Ph.D. degree at the Institute for Manufacturing within the University of Cambridge (UK) Engineering Department in 2007.